Lawn Striping: How Do I Mow Stripes In The Lawn? If you have ever wondered how to mow stripes in the lawn, this lawn striping how-to feature is for you. Whether you are a weekend mower or a lawn mowing professional, the good news is that lawn striping is surprisingly easier than you think – and the creative possibilities are endless! The only lawn mowers who attempt lawn striping via different heights on their lawn mower for each stripe, are the ones that have no idea what they’re doing. This is the complete hack way to get stripes on your lawn, but in the absence of a better strategy, it *may* get you the effect you need. Correctly-done lawn stripes are not due to the lawn being mowed at a different height. They are actually made by bending the blades of grass in different directions and then the light reflecting off those blades of grass differently. 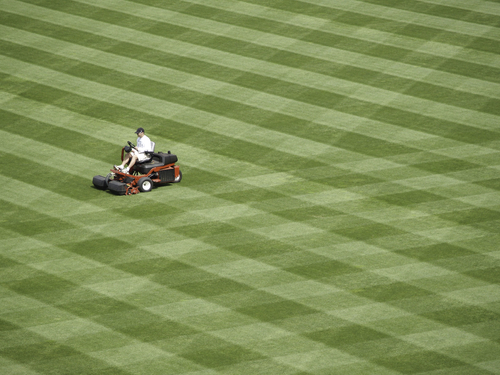 So, lawn striping is actually the process of bending the blades on some strips of grass, but not others. One way to achieve this is the DIY lawn striper. For around $20, you can buy a threaded pipe and fill it with sand or gravel. Slide it into the rock guard at the back of the mower. 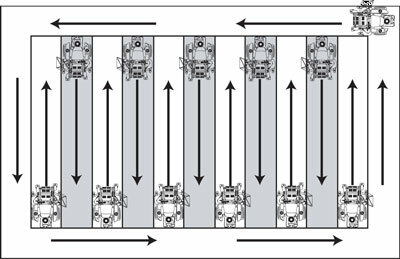 (The advantage to mounting the roller at the rear is that it is the last thing to contact the grass.) Drill a couple of holes in the rear rock guard and use zip ties to secure the now-weighted pipe. The weight will mat the grass down, which will create the lawn striping effect. 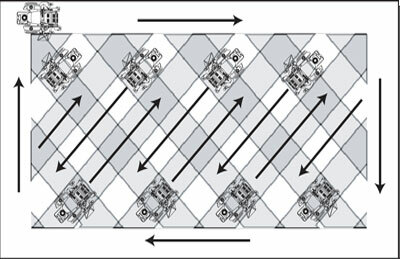 The DIY lawn striper can work, but it has two key drawbacks: (a) compared to a professional option, it’s harder to attach and detach each time you want to mow stripes in the lawn; and (b) you cannot back your mower up while you’re using the DIY version – which as you can imagine, is not entirely practical if you are mowing a lawn that is large and oddly shaped. So, if you consider yourself a lawn mowing pro (or aspire to be one), you might like to use pro equipment to create stripes in the lawn. Toro and Scag – two of the world’s largest manufacturers of lawn mowing equipment – both sell lawn rollers that will stripe your lawn with a more professional result. 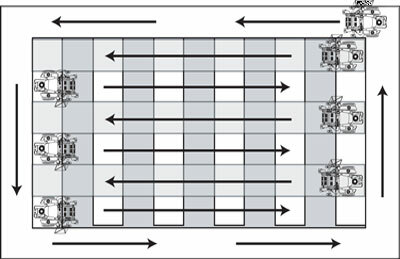 The vertical, checkerboard and diagonal patterns all start by mowing around the perimeter of a property. However, the circular or wave pattern (typically when you have an obstacle – such as a tree – that you want to mow around) does not. Yes! It exists. 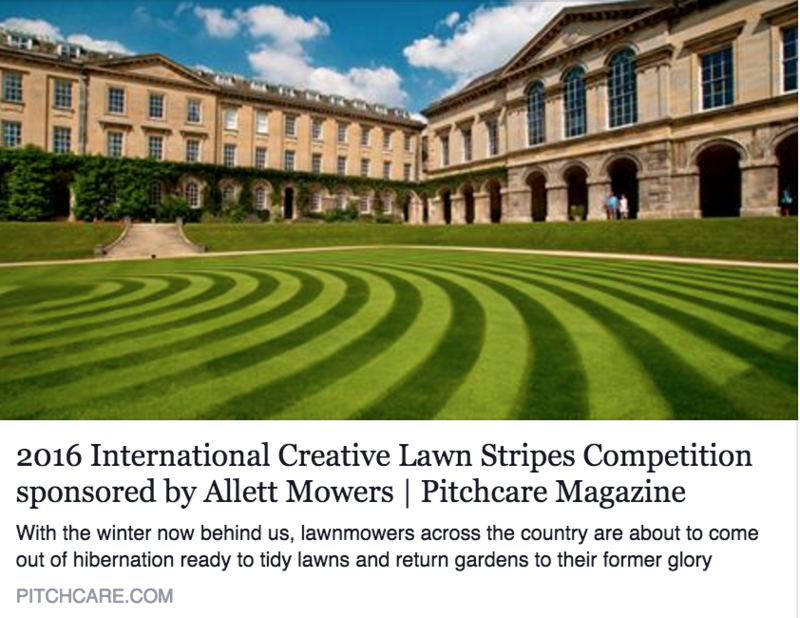 A couple of days after publishing this post, we discovered a new lawn striping competition, for the talented, lawn striping pro. Details here and good luck if you enter! I will like you to get back to me with the cost and also let me know if you do accept credit card as payment.Looking forward to read back from you. Hi Jake, no, sorry, we do not sell pipe rollers ourselves.